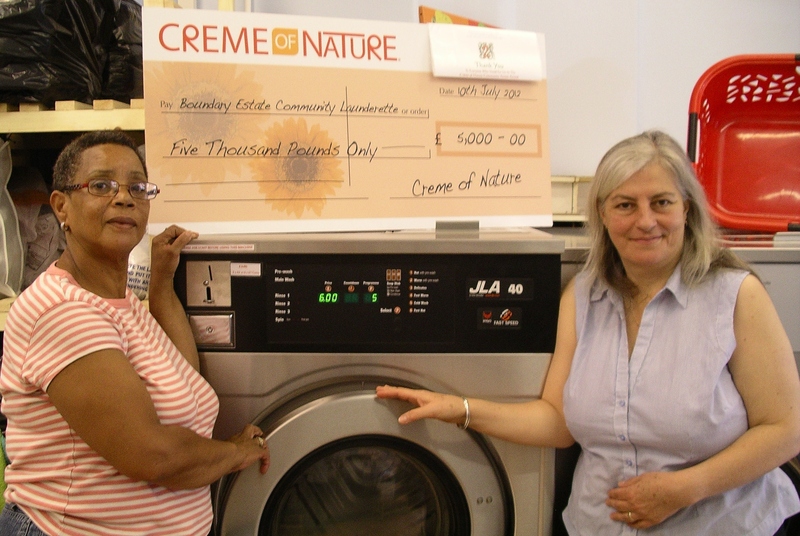 In July 2012 the Boundary Estate Community Launderette received a donation of £5,000 from Colomer International as a result of achieving second place in the public vote in their Creme of Nature Community Action Award. 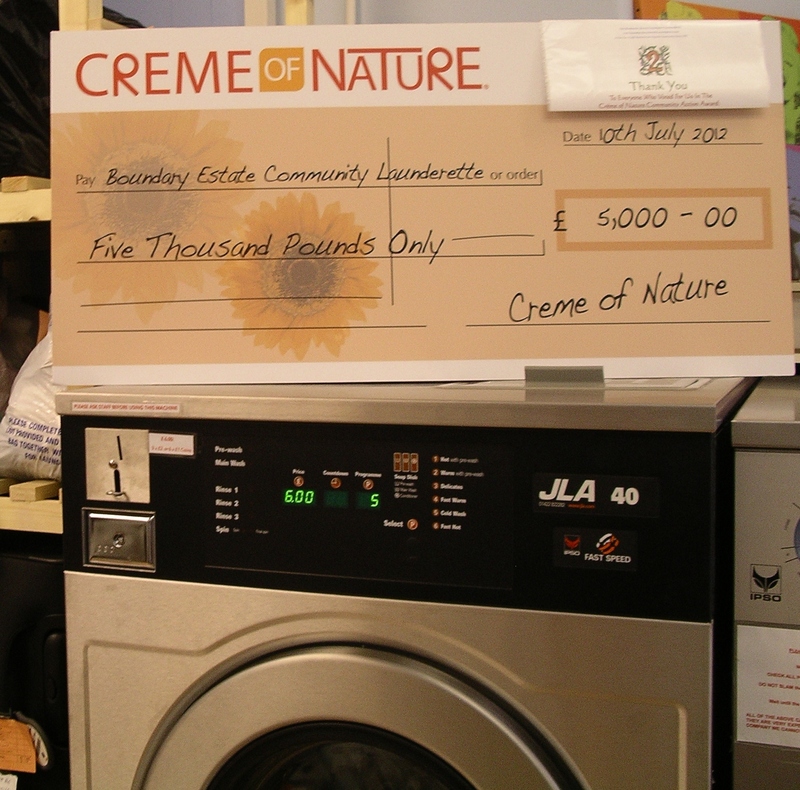 The money was to be used for the purchase, installation and associated costs of a new large washing machine. This has now been done. Work commenced on August 6th 2012 with the removal of the two redundant machines. Delivery and installation of the new machine, an IPSO 40lb coin-operated washing machine, took place on August 8th which required the refit and upgrading of all the existing machines water valves and pipes, and the repair and works to the water tank, water pump and filters due to the increased water pressure required for the new machine. On August 7th 2012 a bespoke shelving unit to store service washes awaiting collection was installed in the space left due the removal of a redundant. 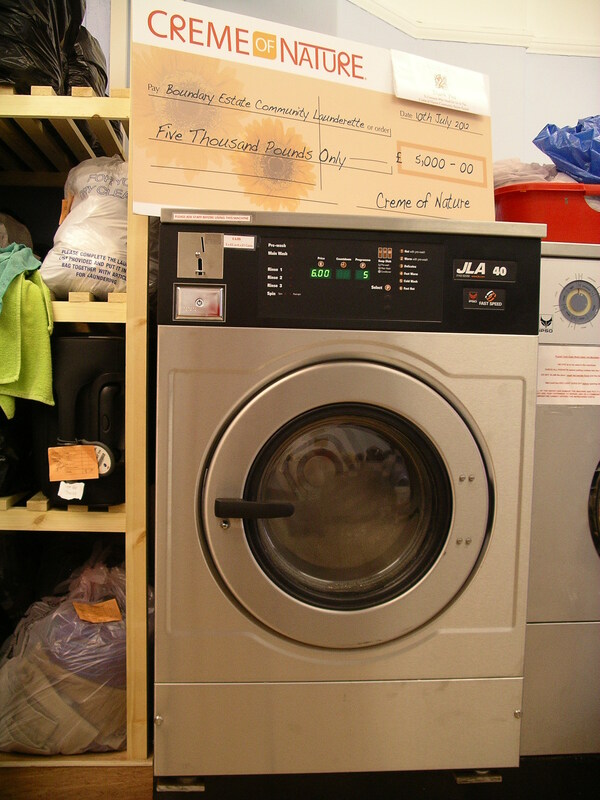 Previously, with limited space in the launderette, washing awaiting collection was left on top of washing machines which did cause confusion for staff and customers, and was not ideal in terms of health and safety. The machine has been very well received by customers and staff, and the new storage space has improved the launderette immensely. None of this would have been possible without the award. 1 IPSO 40lb washing machine, including VAT. Building and installation of storage shelving unit.